Without a doubt, there must be so many of you who want to embrace the Qur’an and also increase their general knowledge regarding Islam. Did you know that you can do all this and much more through online Quran classes? At learningquranlive.com, we have a bundle of courses formulated specially for you. Our goal is the promotion of online Islamic learning while maintaining the same standards of education as geographically located Islamic schools and training centers. We are honored to serve you as one of the best educators in online teaching. 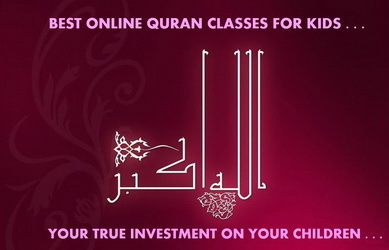 Home to some of the finest and most reputable teachers, learningquranlive.com gives you the unparalleled privilege to learn how to read the Holy Koran. You can start from basic Qur’an classes or a course on the teachings of Islam. Either way, you are a giant leap closer to strengthening your faith. By the Grace of Allah, we have students from all over the world attending regular online classes with us. We work on an international level and aim to make the process of learning Islam easier for everyone out there. Through such unity and mutual reliability, we can address the problems of those who face difficulties in reading the Qur’an or understanding the fundamentals of Islam. Our online institute emphasizes on targeted learning for every individual who wishes to excel in this field. We have concrete courses for various age groups and each course is delivered according to the perception skills of the student. Our objective includes the comfort and satisfaction of our students and that is why we have become the leaders in delivering online classes. If this is your first time with online classes, we assure you that your quest for knowledge will end here. It is with our online classes that you will come to know of Qur’an reading techniques as well as advanced tajweed principles. The imperial programs offered at learningquranlive.com are enough to make you an expert at the chosen field of study. Our help aside, you will also learn to educate yourself through an urge to excel. We not only impart knowledge of Islam and the Quraan but also believe in guiding our students on various other important aspects such as character building, personality development and self-assessment capabilities.